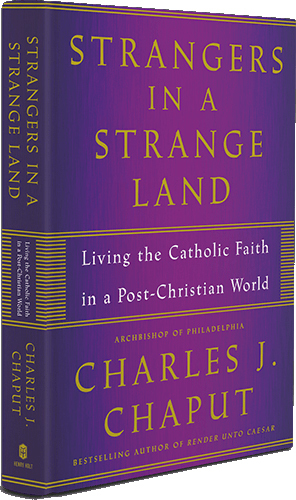 The Catholic Philopatrian Literary Institute will host an evening conversation on Sept. 26 to discuss Archbishop Charles Chaput’s most recent book, “Strangers in a Strange Land,” and the future of American Catholicism. The gathering, which runs from 6 to 9 p.m., will feature light dinner, refreshments, and a copy of the book. Doors open at 5:30 p.m. Registration is $25 per person with a cash bar. The Catholic Philopatrian Literary Institute is located at 1923 Walnut Street in Philadelphia.